Have a Holly Jolly Christmas in a vase! 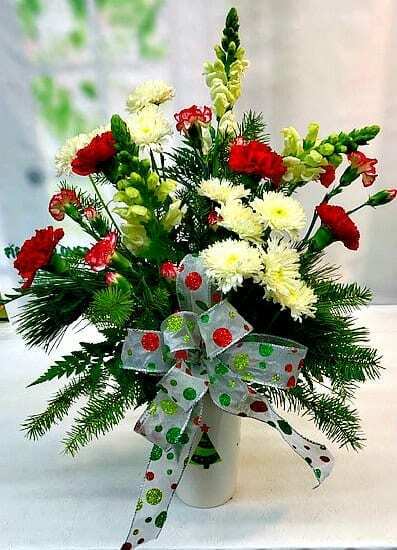 We have filled this fun Christmas tree vase with white Snapdragons, ruby red Carnations, snow white Starburst Mums, and candy cane striped Mini Carnations, a festive bow, and Christmas greens. This is a fun, light-hearted gift for any loved one this holiday season.